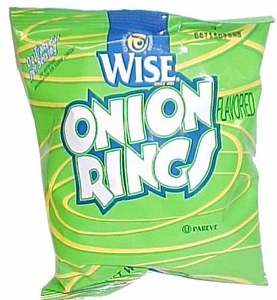 Wise Foods are committed to providing great snacks that the whole family can enjoy. With over 90 years in the snacking industry, Wise potato chips are known for their ability to satisfy any grumbling stomach! Imagine the surprise they’ll get upon opening their lunch box at school, only to find a bag of delicious Wise onion rings waiting for them. Or how about a delightful Wise popcorn snack after a hard day at work? These personal snack size bags are the perfect on-the-go treat, just in time for summertime vacations and day trips to the beach. Pack a bag for easy snacking, anytime, anywhere! Nothing hits the spot quite like Wise, and these snack-size bags are ideal for all!